Manchester pick up first Trophy win. 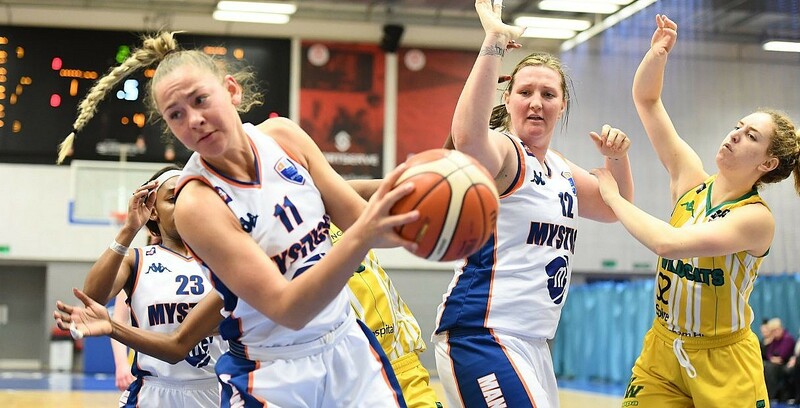 Manchester Mystics picked up their first WBBL Trophy win on Saturday, with a 96-85 victory over Nottingham Wildcats. The Mystics bounced back from their previous week’s defeat to Sheffield thanks to a double-double performance from Evelyn Ovner. Turning point – Nottingham only trailed by 10 points heading into half-time but Manchester exploded out of the locker room and within the first minute of the third period, dropped three consecutive baskets to extend that lead to 16 points, enough to hold off a small Nottingham comeback in the fourth. Key stat – Whilst both teams racked up 14 turnovers each, Manchester were able to capitalise on theirs the most, scoring 18 points from turnovers compared to Nottingham’s 10. Game hero(es) – Evelyn Ovner was the MVP on both offense and defense, knocking down 22 points and 14 rebounds.